ISSAMBA promotes and brings together music from across African cultures to present a unified African groove. Immerse yourself in a mix of African instruments, traditional rhythms, and dancing styles. These artists will travel from abroad, gracing BC with their special talents and sharing aspects of their culture with Victoria. 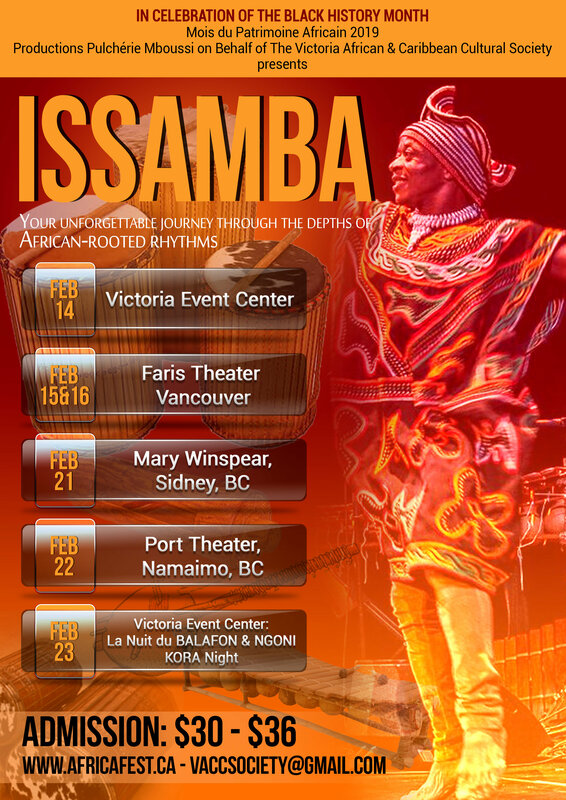 ISSAMBA, a 90 minute show that gives you a glimpse into the rich and diverse musical culture of Africa, an invaluable experience you won't want to miss! Copyright © 2018 AfriCa Fest, All rights reserved.